We're not talking about this... We mean THIS! Your documents and data won't fall into the wrong hands with us. 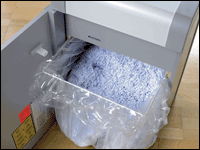 Your security is important and Box Brothers offers document shredding services to meet your needs. 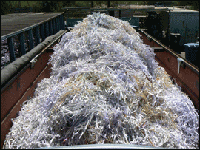 We partner with a licensed and bonded secure and Safe Shredding Company called Safe Shred. When you come into our store your documents will be processed then stored in a securely locked container until final shredding and disposal, We are a fully secure site with multiple video monitors. Call any of our three locations and our friendly professional staff will help with your shredding needs.